What started this idea ( and I’m sure it’s not a new idea) was that I had been struggling with my progression on my black pine. Read his book on pines then went back and read his book on figs again, and it got me thinking that I really need some sort of calendar to remember when to do things. I feel this has been one of my many set backs with bonsai is forgetting to carry out task at a certain time in the year and by the time I remember it’s to late to do it that year and It goes on the back burner to the year after... I’m sure you can see where this is going... then I forgot to do it the year after hahaha. Any way today I thought I would start to write some info on to a bit of a speed sheet calendar to help me remember. Just thought I would ask the question if others do this? How they have done it? Deborah R. Koreshoff's book Bonsai Its Art, Science, History and Philosophy has a calendar for when you should do particular things. Because she's Australian it's actually been written for our hemisphere's seasons! I know my club has one too, but I seem to have misplaced my booklet. Oh, and I use my google calendar to help me remember when I've done particular jobs, enter them when they've been repotted or fertilised and tell it to repeat at appropriate times. So I'll get a reminder that I've repotted a particular tree on a particular date....and I can then check and see if it's still alive If it is, and it needs repotting again, I can do it according to my calendar....then set it to remind me again in another year. Fertilising reminders can be customised too. Last edited by melbrackstone on April 7th, 2018, 10:31 am, edited 1 time in total. I just use the Bonsai Album app. Then set reminders from the app that will pop up in my calendar. Remove wire, repot etc.. works well. Then you can set up your reminders for the plants you have. 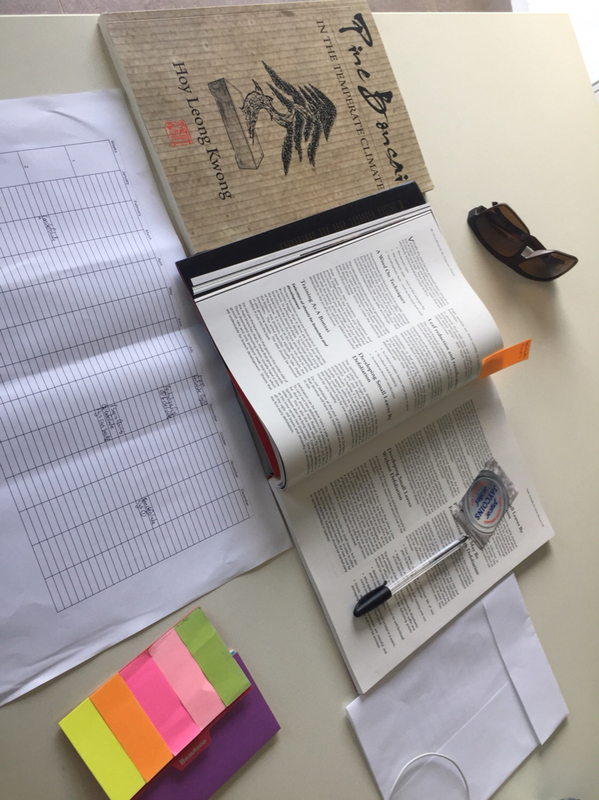 Deborah R. Koreschoff's book Bonsai Its Art, Science, History and Philosophy has a calendar for when you should do particular things. Because she's Australian it's actually been written for our hemisphere's seasons! This guy is Australian as well and the book was created around the Sydney NSW area. Leong Kwwong - The writer of the book in the OP. Yes I'm aware that Leong is also Australian, but as stated, his books only cover pine and figs. I mentioned Deborah's book because it covers many more species, and has an actual calendar. I apologise if it appeared that I was being racist, that was definitely not the case. I don't have either of Leong's books, but I do have Deborah's.....so I was just sharing from my own experience. I'm overwhelmed by so many people telling us here in Oz to get our information from Northern hemisphere authors... so by all means, enjoy Leong's books, but if you're after an expanded view, Deborah's is another option. Sorry Jdceng, wires crossed there. melbrackstone wrote: Yes I'm aware that Leong is also Australian, but as stated, his books only cover pine and figs. I don't have either of Leong's books, but I do have Deborah's.....so I was just sharing from my own experience. I don't have either of Leong's books either - but it looks like Pebble already does, judging by the photo posted in the original post. If both of Leong's books are already in OP's possession - what's the point in recommendation, whether he is Australian or not? I believe that Pebble is now looking for further information, which MelB has provided most generously. Hey guys yeah I was just seeing what everyone else did to help them remember, or if anybody had used a spread sheet like set up. And that I was going to do one to help me remember. 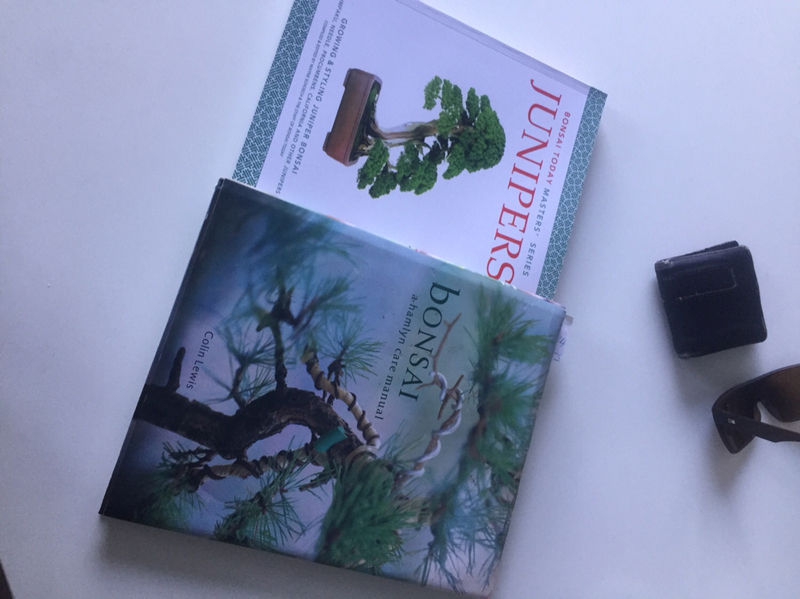 I only have 4 bonsai books, the one my mother bought for me on my 17th birthday which helped start this hobby for me, Leong’s 2 books and just bought a juniper book today. Which he said he brought back from the states and I’m sure is a northern hemisphere book, I won’t be putting that info in to my spreadsheet until I clarify what is best for Sydney/Wollongong conditions. Hey JC He told me he will be bringing a juniper book of his own out soon, can’t wait for that one. Last edited by pebble on April 14th, 2018, 4:33 pm, edited 2 times in total. Here is basically what I was trying todo. When translating Northern hemisphere timing to South you may need to make some allowances. For a start it does not get as cold in winter so dormancy is usually much shorter in Australia. I find that some things happen a bit earlier than indicated down here so be prepared to extend the timing given either way to fit what actually happens. 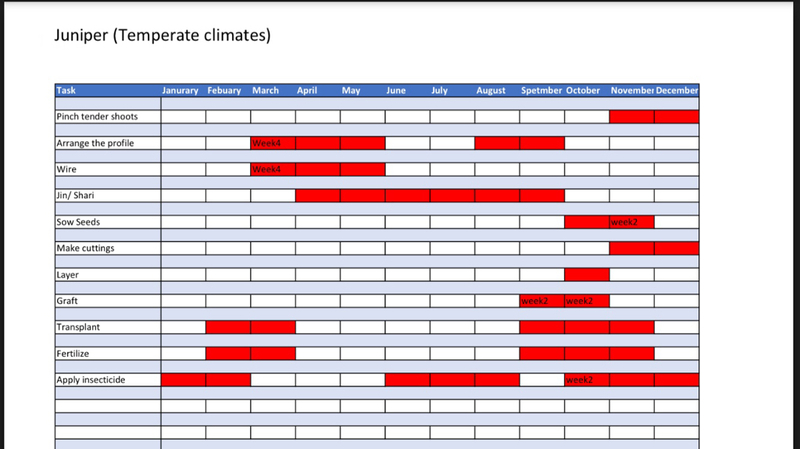 I notice that your chart indicates pinching junipers only Nov and Dec. I find myself pinching and trimming J. chinensis almost all year here. I also fertilise evergreens, including junipers, all year round now and have been getting much better results. It does not get as cold in winter here so they grow slowly right through winter and therefore benefit from fertiliser. I prefer spring repotting for junipers but I also repot them right through winter without any sign of problems. I also wire and bend almost any time of the year. Not sure why your source limits wiring to Autumn? 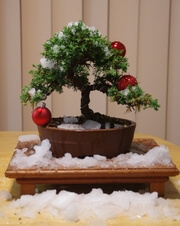 These differences are indicitave of the problems associated with bonsai care calendars. They may be a good aid to less experienced growers but you should also be prepared to look outside what one person somewhere else in the world considers to be 'right'. Every care calendar I have seen has had some similar discrepancies and if you add the advice from several different sources you will find the windows become much wider. Different climate and even local microclimate variations can make a big difference to what can be achieved. Differences in technique and care can also influence what is possible and, in some cases, people are slavishly following tradition without ever considering there may be alternatives so are limited in what they consider to be safe.